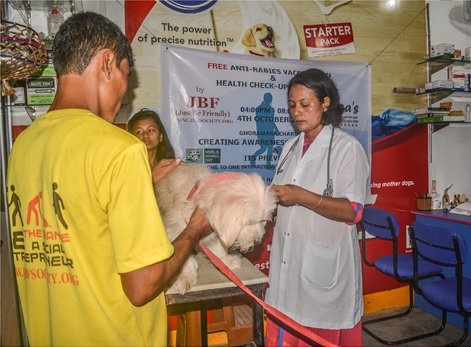 News of World Animal Day and its mission to raise the status of animals continues to spread around the globe. Trending on social media in 25 countries and media articles highlighting this special day, all helped raise awareness of animal welfare issues… A vital catalyst for change. 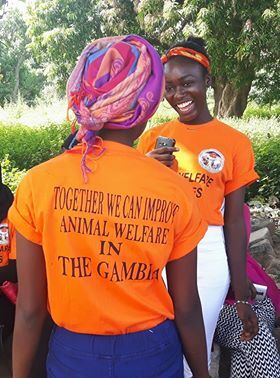 Every year events are held to plant seeds of compassion in the hearts of the younger generation as they are our main hope for a brighter future for animals. In Lithuania, a class discussion highlighted how important it is to be a responsible animal carer. In Ivory Coast, MAEP organised a children’s drawing contest to raise awareness of the many animal welfare issues in Africa. In Serbia a childrens art competition, concert, and award ceremony to recognise the contribution of individuals to improving animal welfare took place. In Spain, three days were dedicated to celebrating animals with a whole host of fun-filled educational activities for school children. In South Africa, Lionsrock Big Cat Sanctuary shared a fun day of educational activities with 50 children. In Turkey, school children had great fun making houses for stray cats in their neighbourhood. In the UK a whole host of events took place in celebration of World Animal Day including, events in schools, a family fun day for residents of Southampton, and a vigil was held at Huntingdon Life Sciences to remember the animals that have suffered behind the closed doors of this testing laboratory. Every year in Cochabamba, Bolivia, a wonderful mass is held to remind people of their obligation to care for the country’s animals. Pets are welcome! In Sri Lanka, the Otara Foundation chose to focus on animals that are robbed from their natural habitat and deprived of freedom for man’s commercial benefit. In the USA, ‘Roar for Tony the Tiger’ has become an annual event. Tony has lived all of his 17 years as a roadside attraction in Louisiana. In Syria, the Ministry of Education agreed to add images of different Syrian wild animals to the front of biology text books with information about them on the back page. In Kurdistan, Iraq, KOARP (winners of the 2016 World Animal Day Grant) followed up training carried out earlier this year, held a seminar, and gained media attention for a number of animal-related issues of concern in the region. Many cities organised marches to draw attention to animal welfare issues. One such march was held in Medellín, Colombia, calling for the government to ban bullfighting in the country. A street campaign organised in Pelembang, Sumatra, Indonesia, caught the attention of a nationwide radio show resulting in the organisers being invited to participate in an hour long interview. In Malawi, the All Creatures CEO and World Animal Day Ambassador appeared on national TV to discuss animal health issues and highlight the objectives of World Animal Day. In the US, World Animal Day featured in a television talk show, A close-up look at animal welfare issues. In Bosnia and Herzegovina activists launched an appeal to government imploring them to honour the fur farming ban that is due to come into force in January 2018. 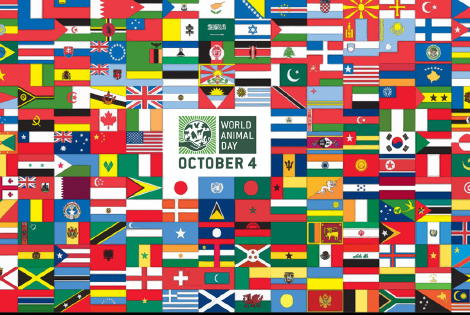 So far, 46 World Animal Day Ambassadors have expressed their support for this action. The country’s children say no to fur farming. Sign Up and then Add your Event - it's FREE!